This week’s episode is split into two parts, today and tomorrow. Today’s episode is with Boyd Varty and tomorrow is with both Boyd and his sister Bronwyn. The incredible Varty family hosted me in South Africa, so you’ll hear birds and elephants in the background as we talk. 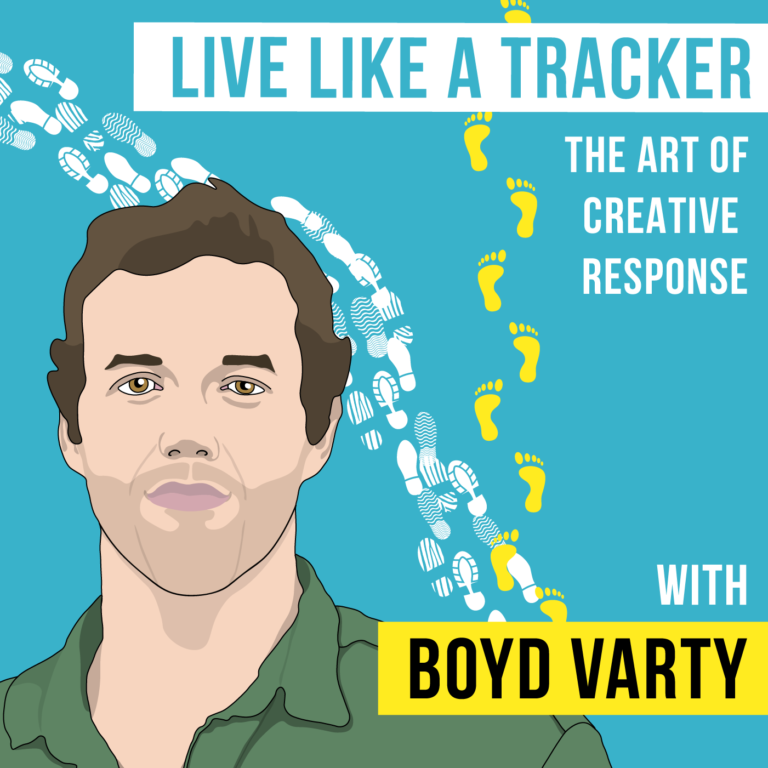 This conversation with Boyd is about our shared experience called “track your life” which I couldn’t recommend more highly. We tracked animals on foot for five days, and learned a lot from the environment itself. While we discuss our time together, this is much more about how to live. 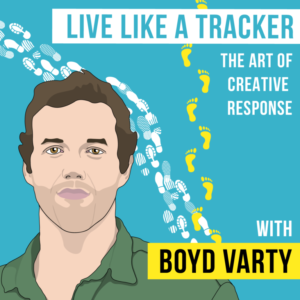 My original conversation with Boyd had a huge impact on me, and this continues the exploration of Boyd’s idea that we should all be going our own way, in the right way, instead of simply following well-trodden paths. 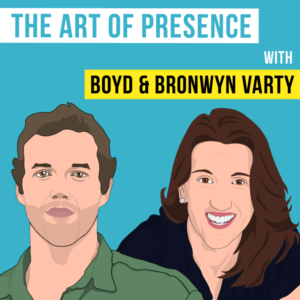 I hope you enjoy this conversation with Boyd and the second podcast conservation with his sister Bronwyn Varty-Laburn.